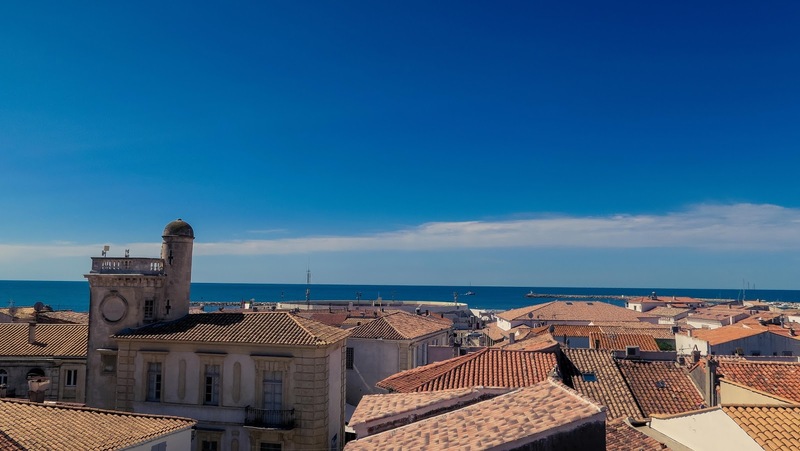 The town of St Marie de la Mer (and the whole of the Camargue area in the South of France) is ridiculously beautiful and a wonderful place to visit. However it can be a little tricky to get there and get around - that's why I've done this post! The easiest way to get around is by car- however this isn't an option for everyone and it's certainly not necessary! We did the whole trip on public transport! However, before the trip it was really hard to research the details about how to do it. You can fly into a variety of different airports in the South of France, and the train links are awesome so you just need to get yourself to Arles train station. From the train station you just walk out of the main door and head to the bus stop. The bus stop is about 200 yards from the door in a 10 o'clock direction. You are waiting for the number 20 bus, and the timetable can be found here. However the busses are not always the most consistent on times. Supposedly the bus costs EUR2.70 but it was only EUR1 each for us the whole week! The bus takes about an hour, and there are a variety of stops you can get off at. I would recommend getting off at Les Razeteurs. Once you are off the bus, continue down the road and then to the right you are in the centre of town. If you continue in that direction you will find the tourist information centre there! You can also get to the Ornithology Park to see the flamingos (full post on that coming soon!) on the bus. The stop is Pont de Gau and it might be worth checking with the Tourist Information on exact times. I know we often used the 11am bus. If you need to get around the town (or to your hotel if it is slightly outside of town like our firs tone was) there is also a taxi service, ran by a man called Jaques who speaks enough English! You'll get the number from Tourist Info or ask a restaurant to call it for you the first time. If you have any questions for me about getting to St Marie de la Mer or about the town or the gypsy pilgrimage then please get in touch with me! Hi Cheryl, I would just get off at Les Razeteurs and walk down to the Tourist Information centre and the bull fighting arena, which are right on the sea. To the right of these is the harbour! I did a boat tour with a different company, the vlog isn't live yet but keep an eye on https://www.youtube.com/c/kathrynliquidgrain for it soon!